Living in Southbury and looking for a fencing service? No problem! 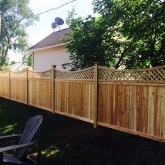 Roots Landscaping is here to assist you in your fencing needs. We have completed a variety of different fencing projects throughout the area, and we want to provide our services to you. We are well-equipped and can handle any size job. 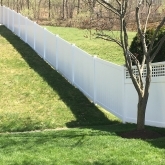 As members of the American Fence Association, we are a group of professionals that provide proven results built on quality. Roots Landscaping is here to help you with any installation or repair needs. There are a few things you need to consider before deciding on what type of fence you want to install, and we can help you out. Is it for privacy, security, noise reduction or safety reasons? 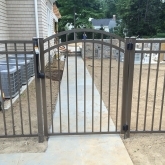 We have fences for all different situations and we would love to help your Southbury business or residence in your decision. 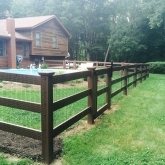 Roots Landscaping’s top fence partners will only offer you the most exceptional and high-quality fences. 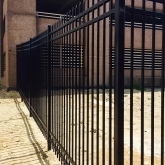 Want to learn more about our fencing products? Visit here. Our experts have installed many different kinds of fences, and it is important that only a professional will help you install or repair your fence. There are many unexpected elements that may not be accounted for and can often be hard to maneuver around. After we consult with you on the best type of fence for your property, we will do a full measurement, analyze your terrain and make sure that your fence is installed properly. The cost will differ based on the height, material and length. 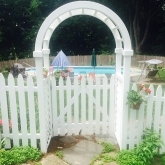 For the Southbury, CT area Roots Landscaping can help you with all of your fence repairing needs. Our professional and expert staff will help figure out what the problem is and how to repair it. One of the most common problems with fences comes from wood rot. This is normally caused by fungi eating the wood or certain weather conditions. Often, the wood will need to be chemically treated, patched, repainted or stained. Unfortunately, if the wood is too rotten, it may need to be replaced. Ask us for a consultation before you decide on what you would like to do. Poles that hold fences together provide stability, but when certain poles become compromised or they begin to shift, it is time to replace them. If you fail to replace the poles, the fence will become more at risk to completely falling or deteriorating. Instead of paying for an entirely new fence, get pole replacements to save your fence. Holes and cracks can be in many different types of fences like wood, vinyl, chain and so on. Since there are so many different kinds, they way to repair them will also be different for each. Patching holes and filling cracks is the best way to maintain your fence and prevent further damage. Over time, boards or certain sections will tend to fall off. The time it takes to repair these type of problems will differ based on the fence type, length of board and height. You must fix missing boards in order to prevent your fence from collapsing entirely. 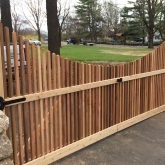 Call us today at Roots Landscaping to learn more about cost-effective ways to repair your fence. 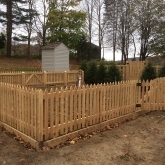 Roots Landscaping offers top-rated fence installation and repairs in Southbury, CT. If you do not know what type of fence you want, or what type of repairs you will need, contact us today. We also provide masonry and landscaping services. If you are interested in learning more about our services, call us today 203-304-7326.